This program can be completed in just TWO semesters. Our Medical Assistant proficiency certificate program will teach you how to perform clinical procedures in a variety of health care environments. You will learn how to obtain patient medical histories, take vital signs, administer medication, perform electrocardiography and vision screening, assist your physician with general and specialty examinations, and perform point-of-care laboratory testing. When you complete the proficiency certificate, you will know the correct terminology for diseases, symptoms, diagnostic treatment and surgical procedures, and how to integrate knowledge and skills related to the clinical responsibilities in order to effectively perform various tasks in an ambulatory setting. **EMSI Data, 2019; Philadelphia County, PA; a percentage of people in these jobs may have a bachelor's degree or higher. 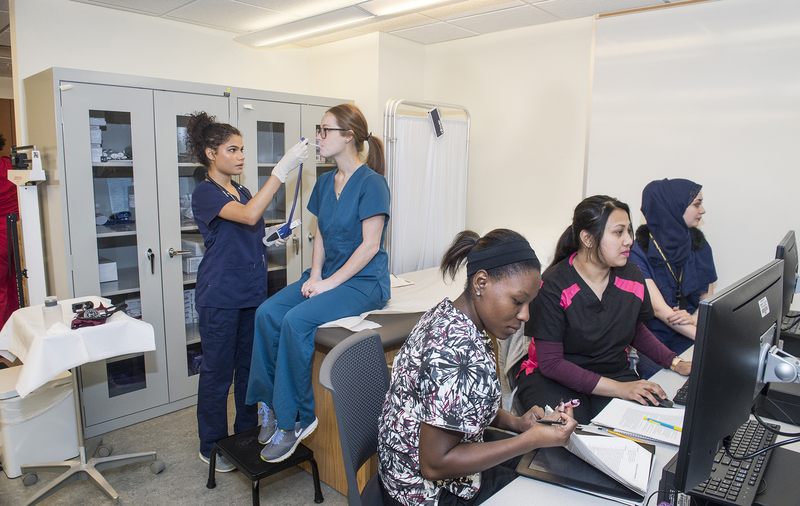 The following courses and sequence of courses is designed for the optimal success and completion of the Medical Assistant Proficiency Certificate degree/certificate. Any alterations should be discussed with your academic advisor. Perform secretarial duties using specific knowledge of medical terminology and hospital, clinic, or laboratory procedures. Duties may include scheduling appointments, billing patients, and compiling and recording medical charts, reports. Schedule and confirm patient diagnostic appointments, surgeries, or medical consultations.Answer telephones and direct calls to appropriate staff. New workers generally start around $27,057. Normal pay for Medical Secretaries is $38,124 per year, while highly experienced workers can earn as much as $51,004.